At least the ax wound's a nice touch. The presumptively-named Final Chapter opens with a highlights reel, reminding you (by which I mean me) of an editor’s power to twist truth into previously unthinkable of geometries. 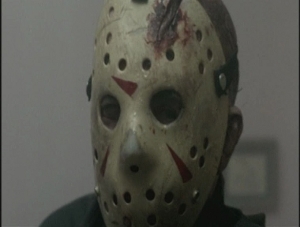 Intercutting Paul’s campfire recap of series’ mythology from Part 2 with shots from Jason Voorhees’ Greatest Murders might give the uninitiated a false impression of this series’ quality.